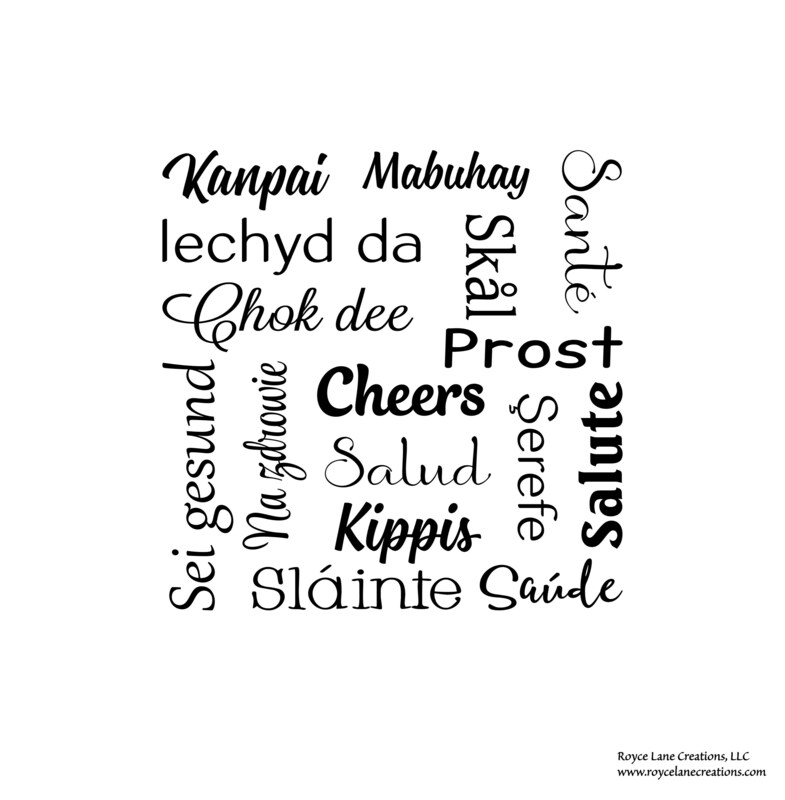 This decal celebrates all the ways to say Cheers around the world. 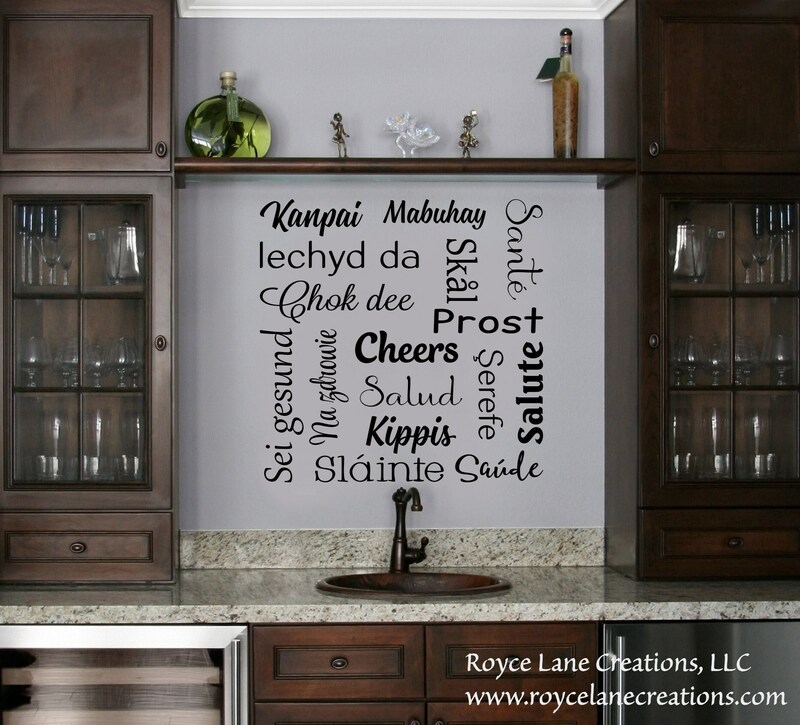 It's a great way to decorate a home bar. The words come on 1 sheet arranged as shown, but if you want to cut it apart to lay out the words how you want you can do that as long as you cut between the words.